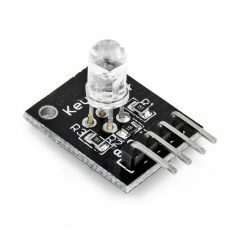 KY-016 Arduino full color 5mm RGB LED, different colors can be obtained by mixing the three primary colors. 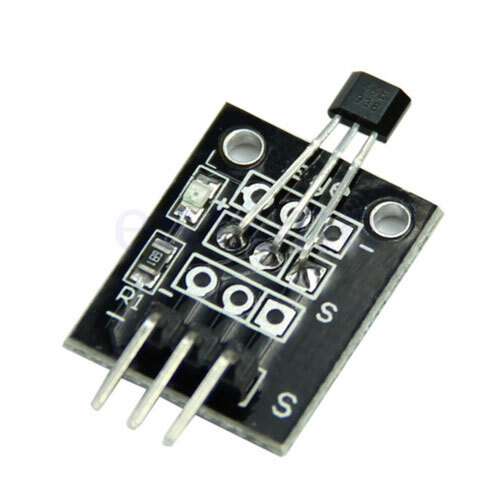 This module consists of a 5mm RGB LED and three 150Ω limiting resistors to prevent burnout. Adjusting the PWM signal on each color pin will result on different colors. Connect the red pin (R) on the KY-016 to pin 11 on the Arduino. Blue (B) to pin 10, green (G) to pin 9 and ground (-) to GND. Notice that you do not need to use limiting resistors since they are already included on the board. The following Arduino sketch will gradually increase/decrease the PWM values on the red, green and blue pins causing the LED to cycle through various colors. Fritzing Part: KY-016 RGB full color LED module. You found that RBG module on Frizting?? Where is it? I can’t find it and I need it in my schematics. Hi, check the downloads section or use this link.